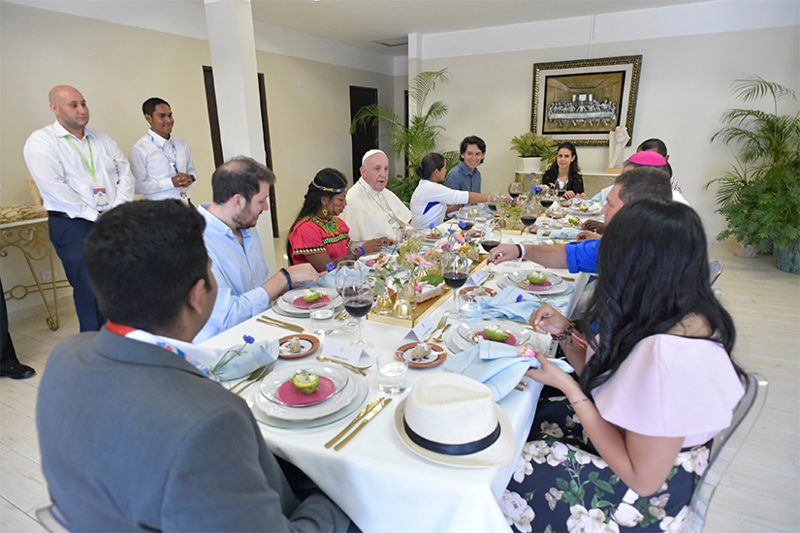 In their case, they didn't just multiply food, he said. 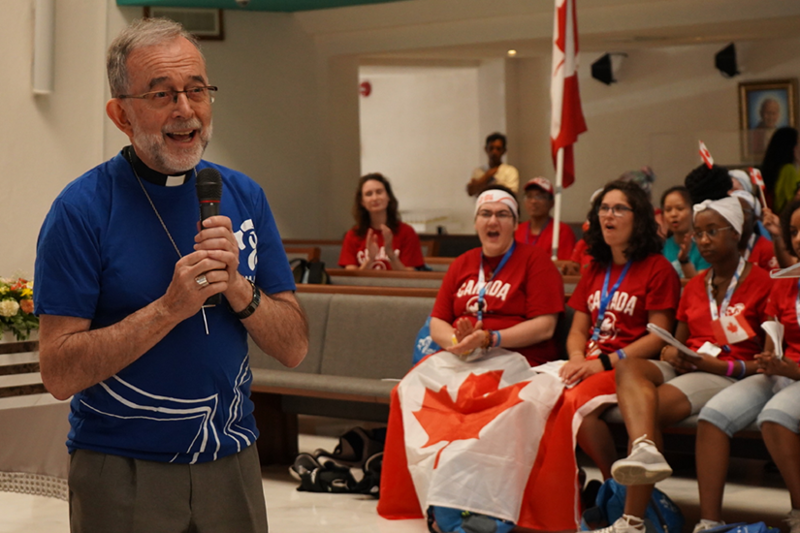 "You could have easily chosen to do other things, but you wanted to be involved, to give your best to making possible the miracle of the multiplication, not only of loaves, but also hope," he said, telling the volunteers to go out into the world and make that attitude contagious. 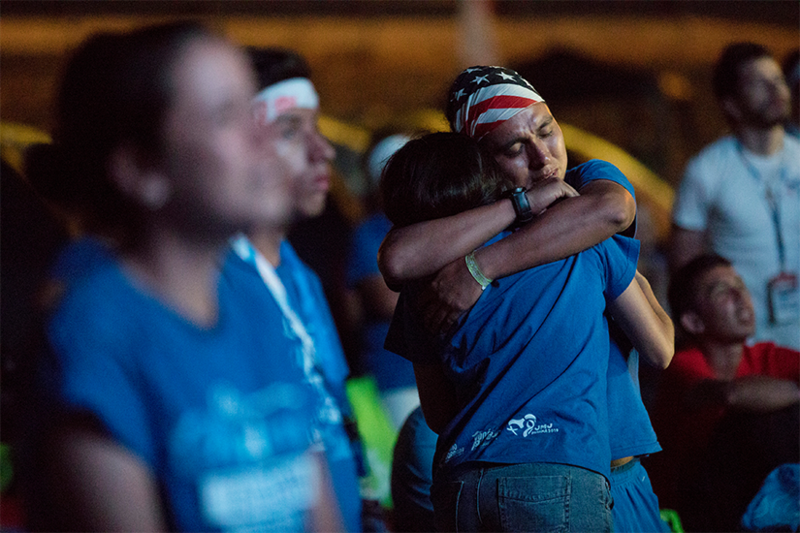 "We need to multiply that hope." 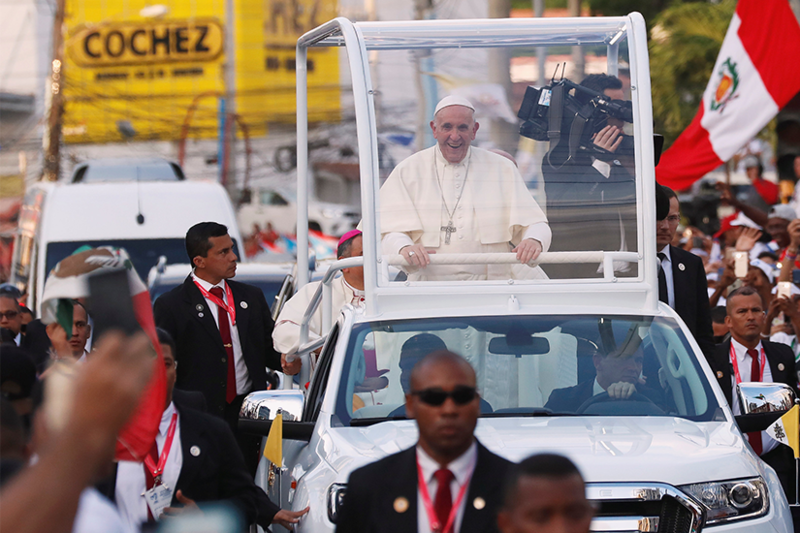 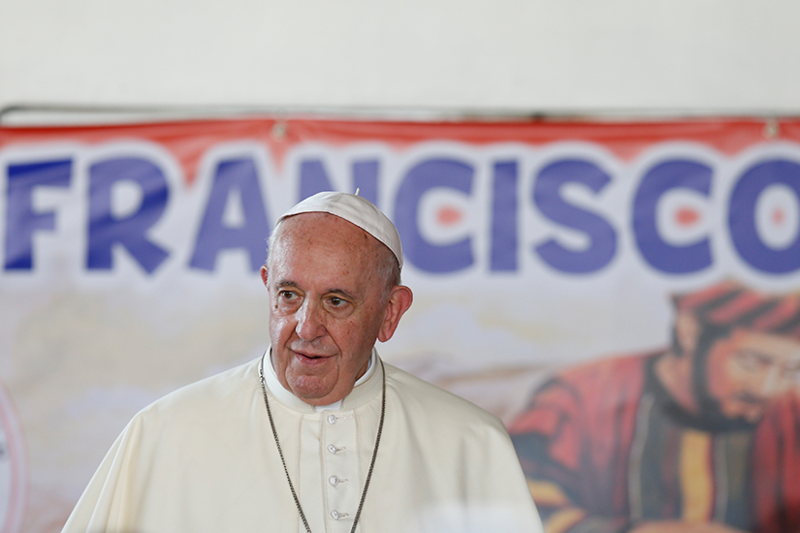 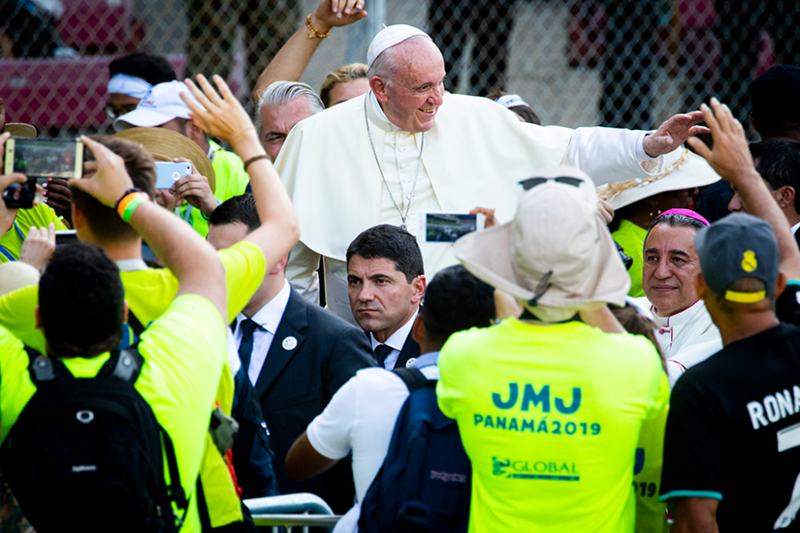 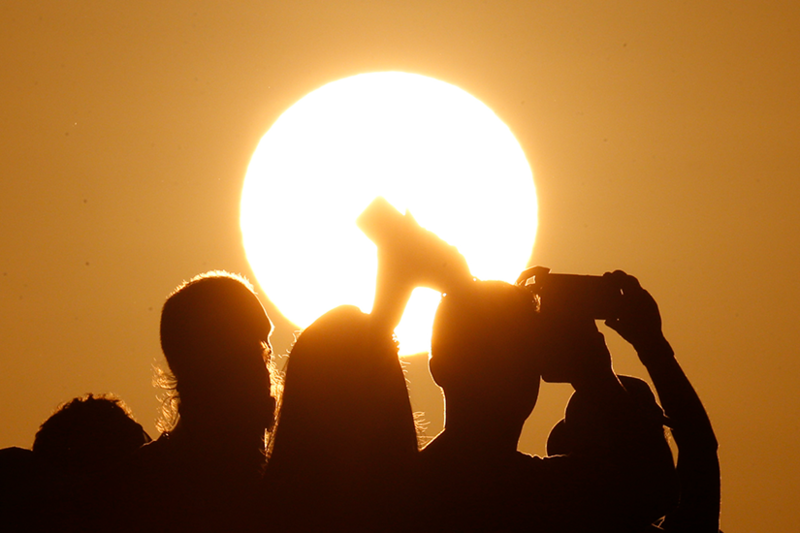 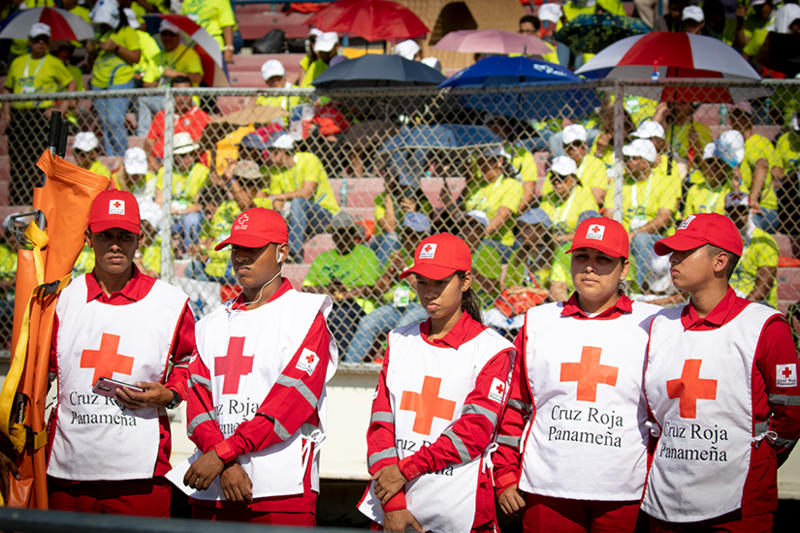 Volunteers at Panama's World Youth Day showed it was possible to renounce one's interests in favor of others, the Pope said. 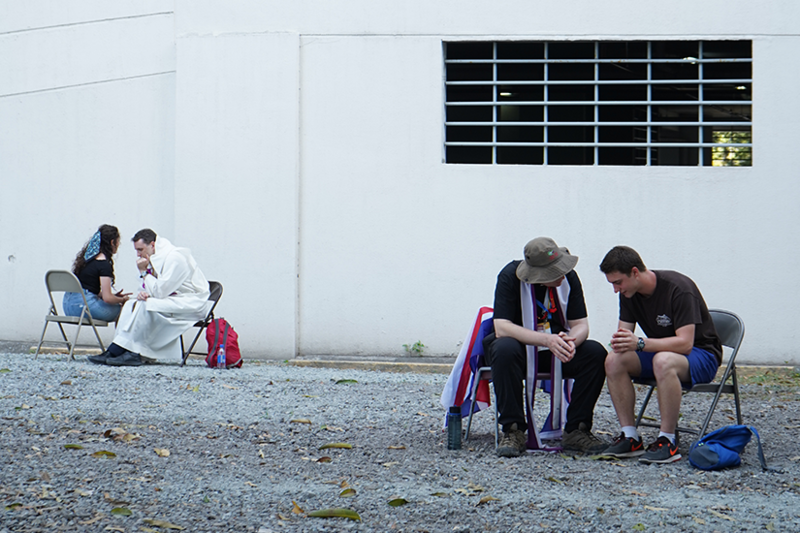 "You made a commitment," he said. 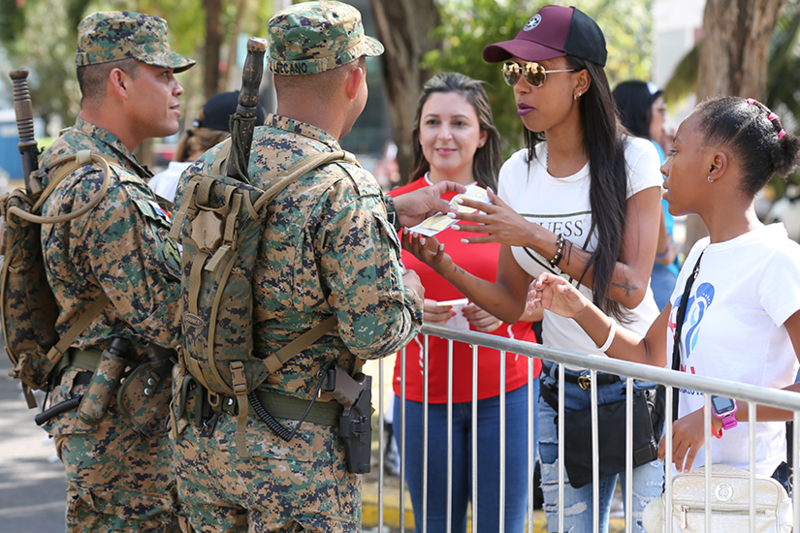 "Thank you." 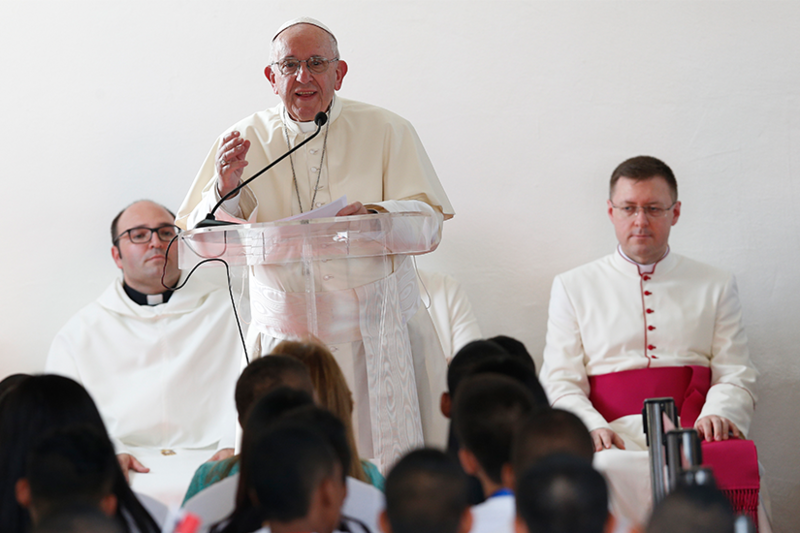 "In sharing, you create a small community and we return to the times of the first Christians ... we follow their example," he said. 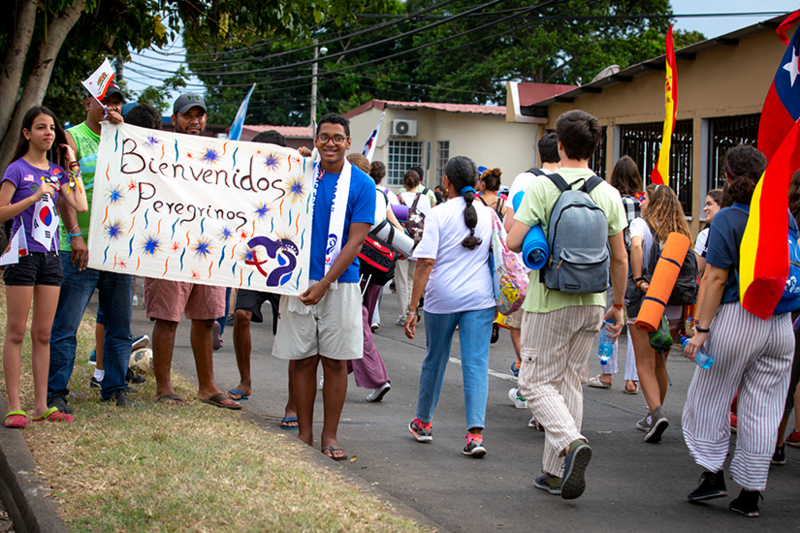 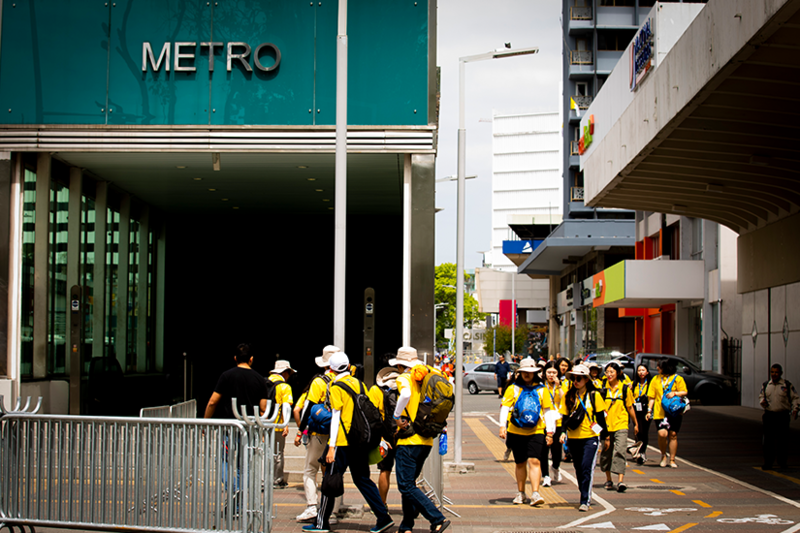 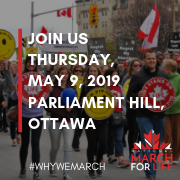 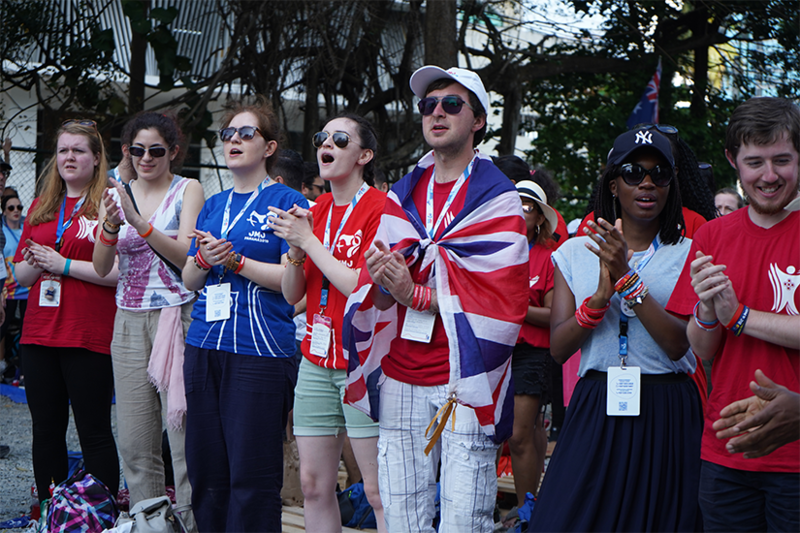 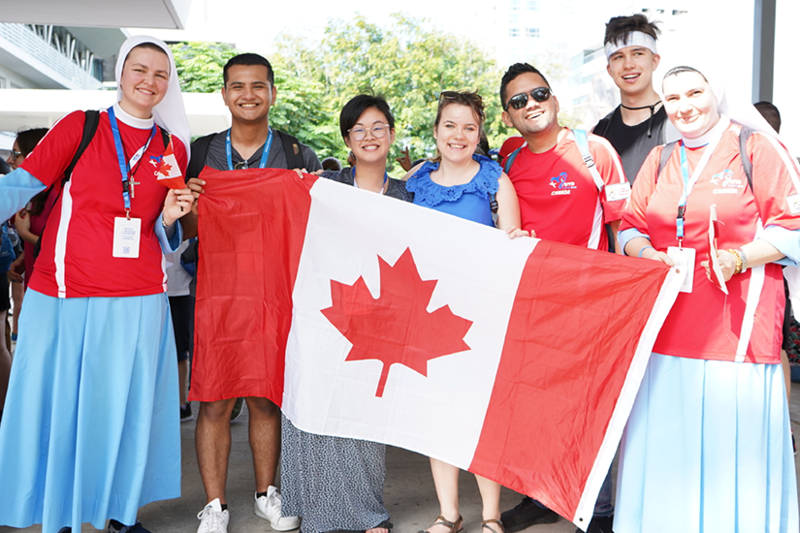 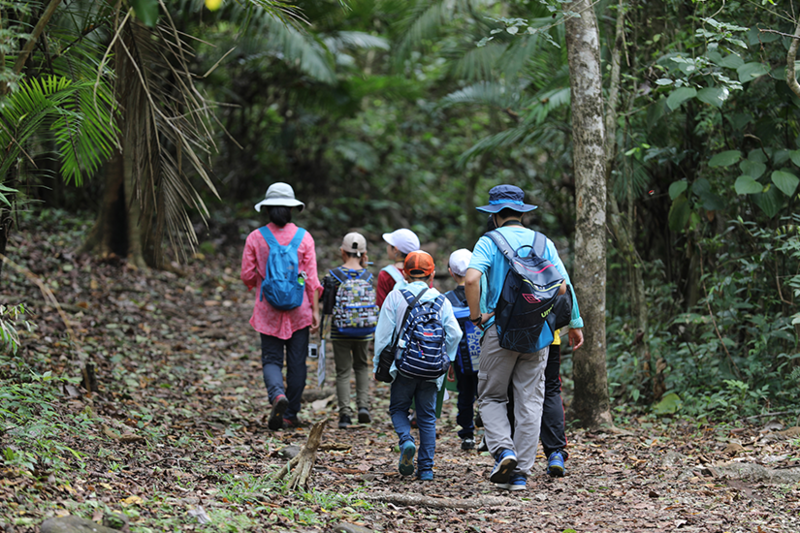 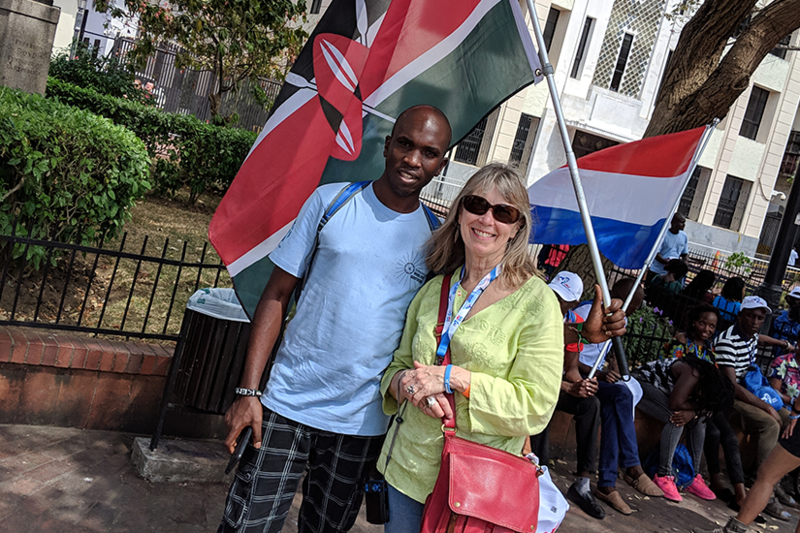 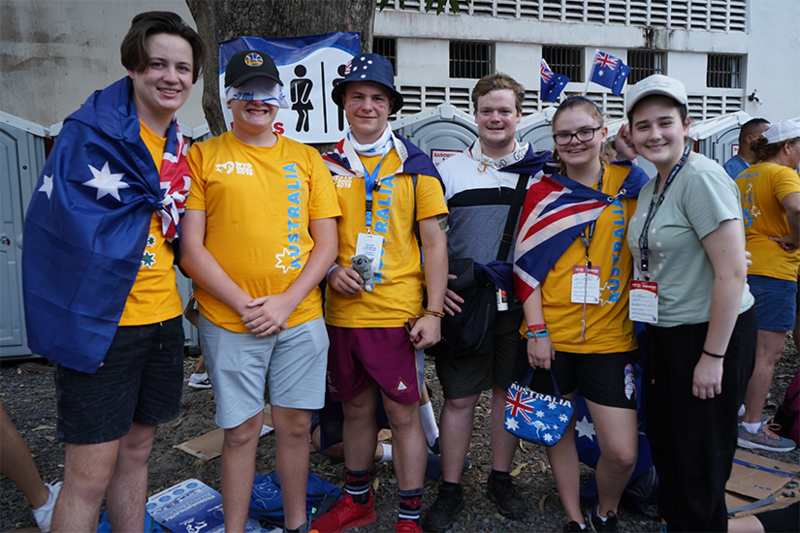 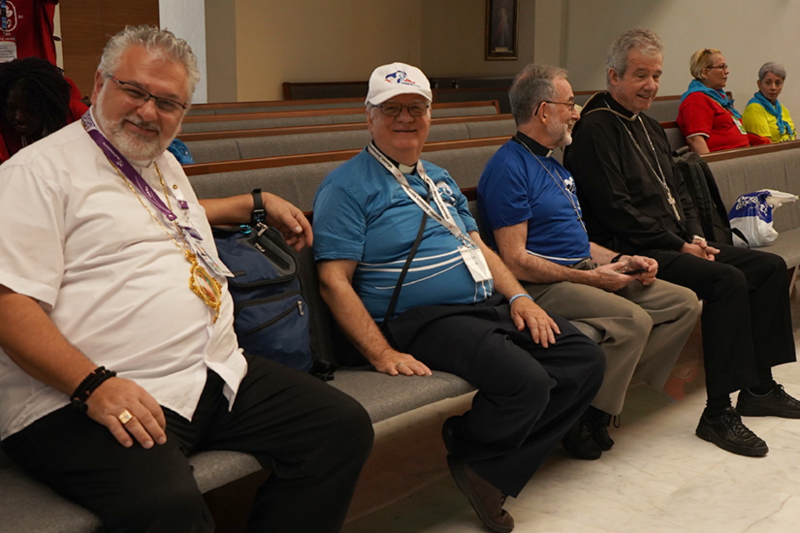 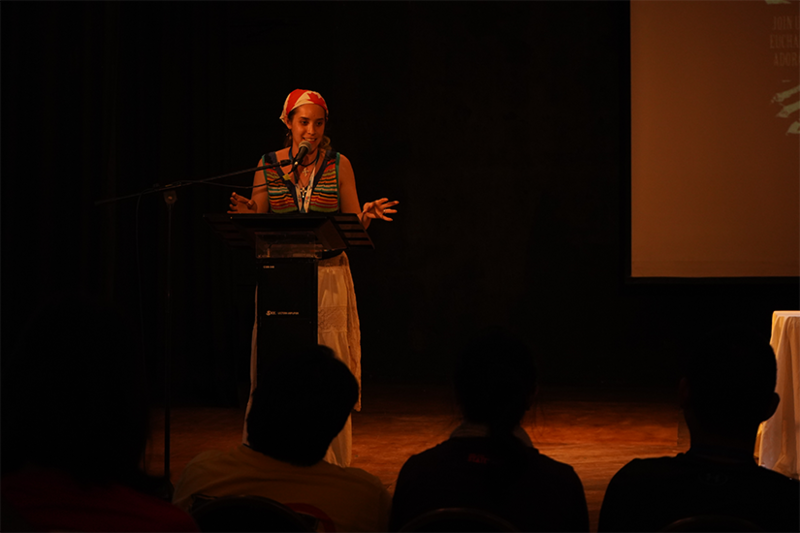 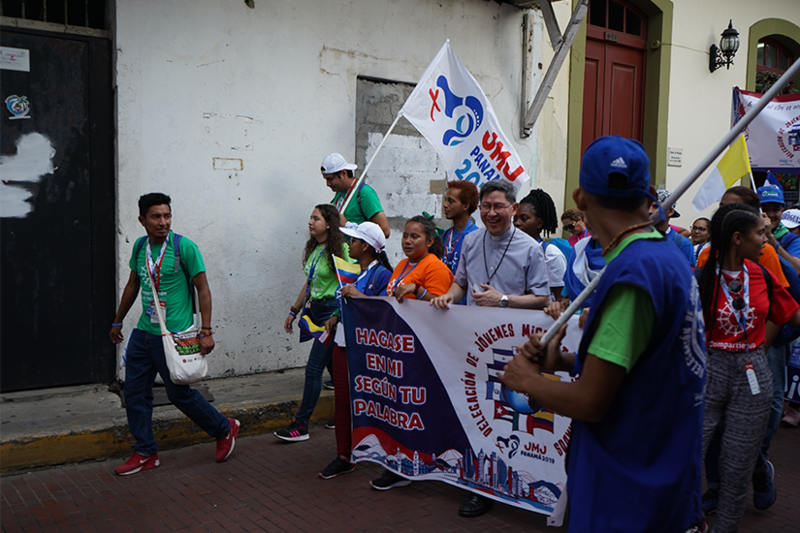 Panamanian volunteer Stella Maris del Carmen told the story of how she had planned to attend the previous World Youth Day, an event she'd longed to attend since she was a child. 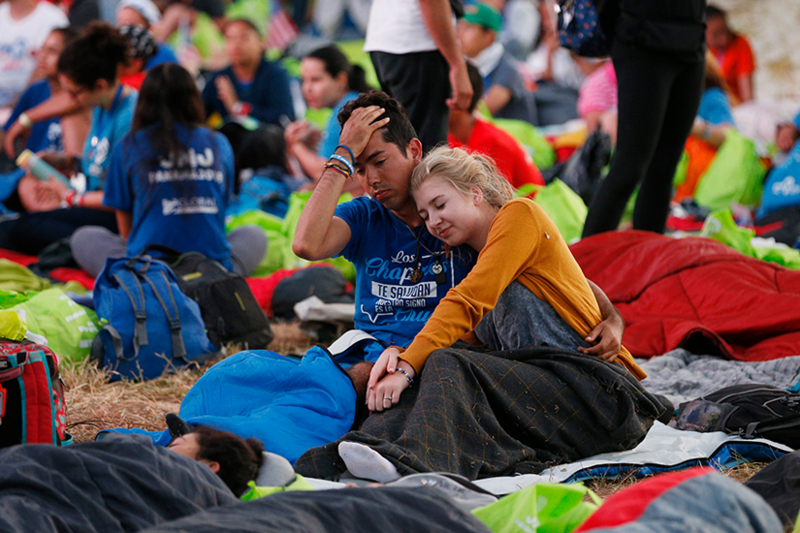 She had saved enough money to go to Poland in 2016 and then her grandparents died. 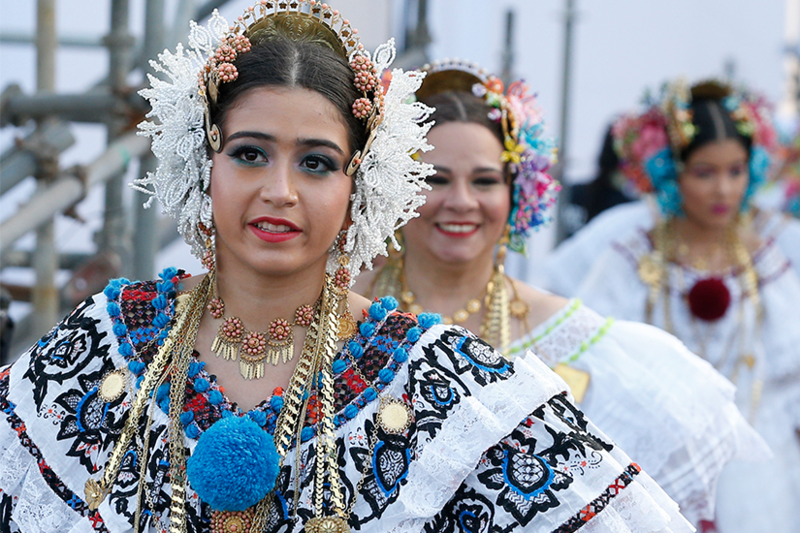 She canceled her plans and used the money she had saved to tend to her family. 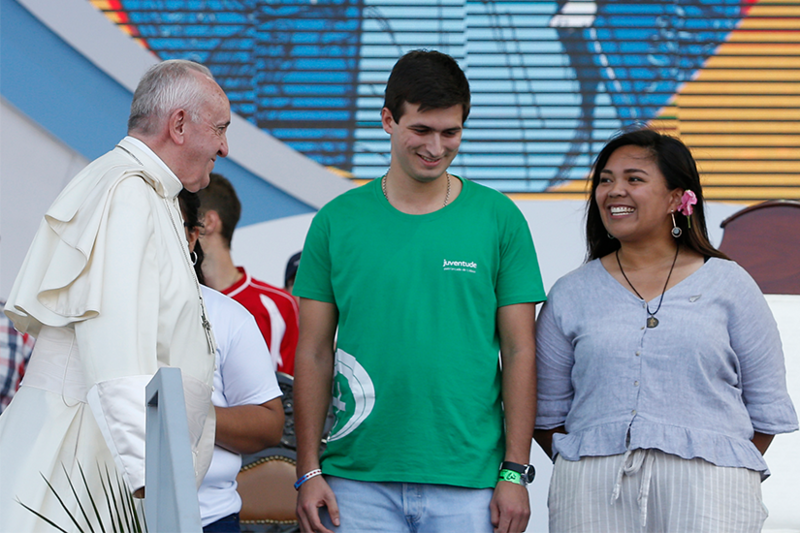 The Pope said he was touched by her story. 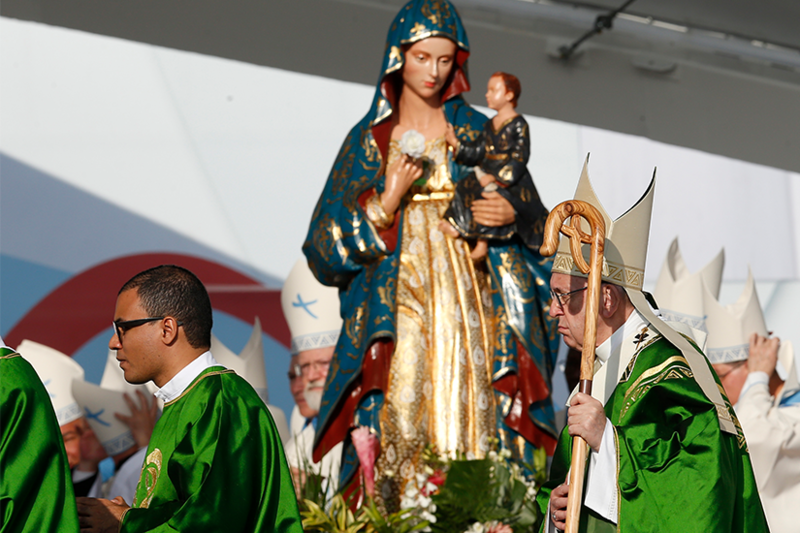 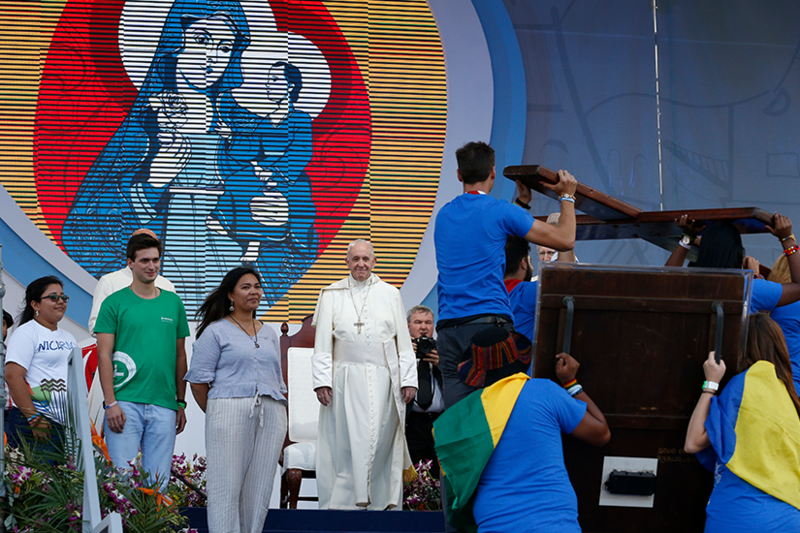 By renouncing the trip for the family, "you honored your roots," the Pope told her. 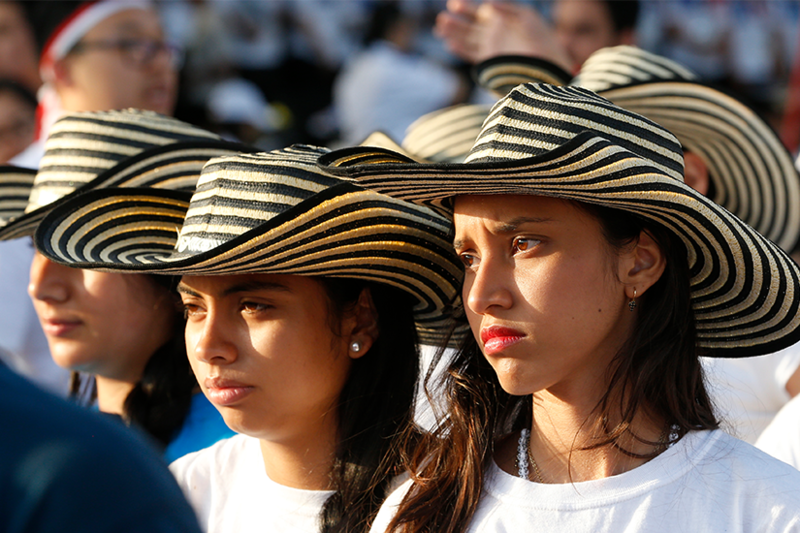 "That's what makes you a woman, an adult." 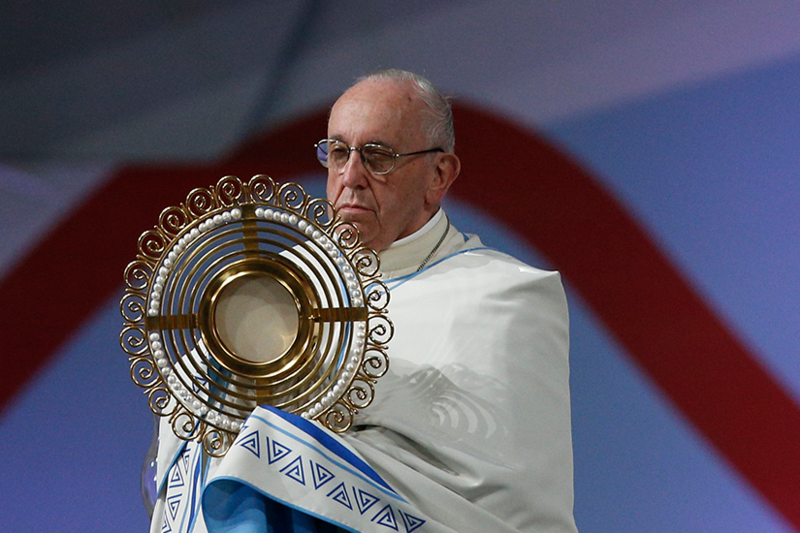 But then consider what happened because of that sacrifice, he said. 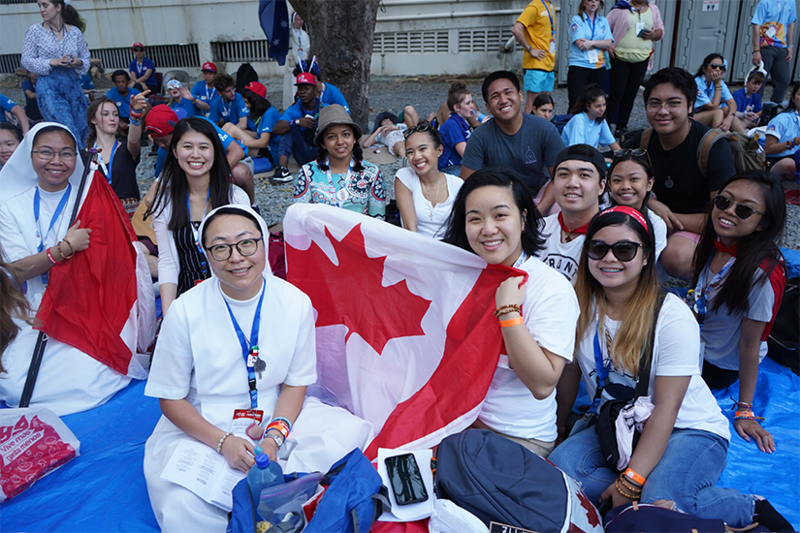 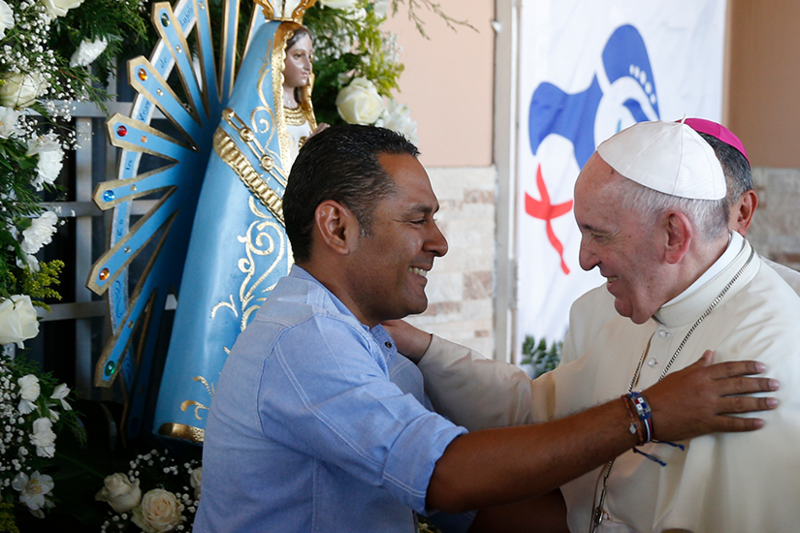 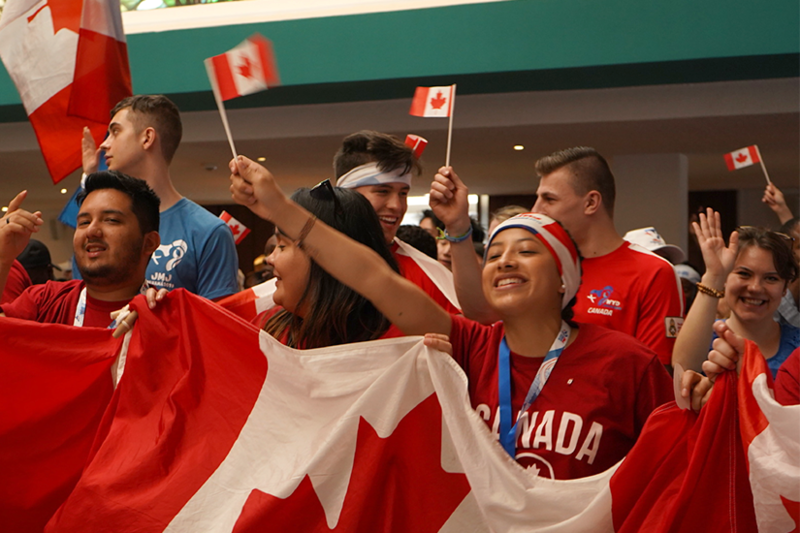 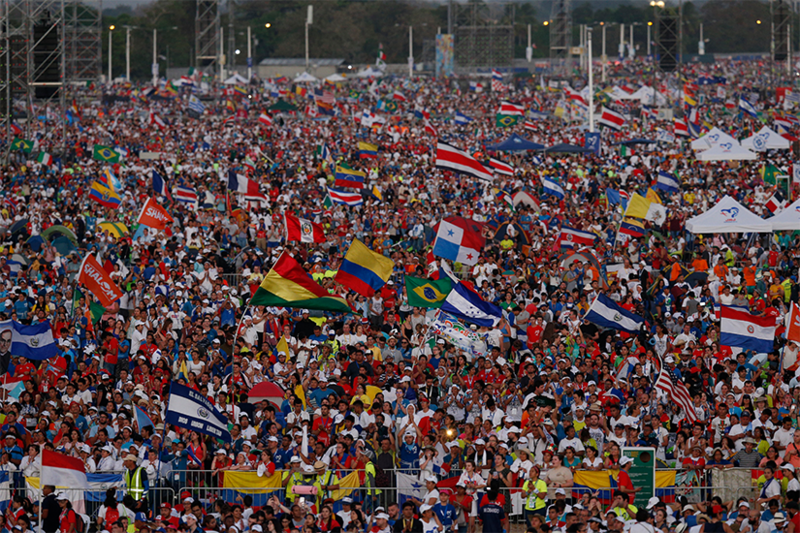 "The Lord had the gift of (World Youth Day) waiting for you in your homeland," he said. 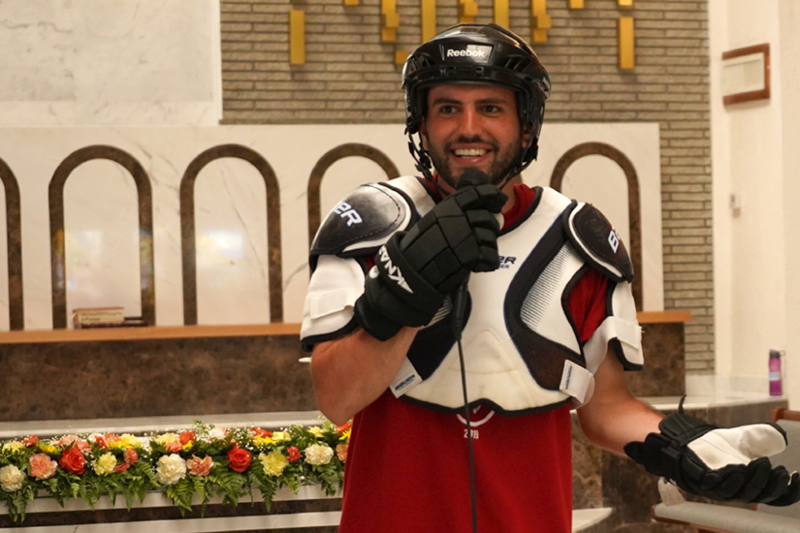 "The Lord likes to play those tricks. 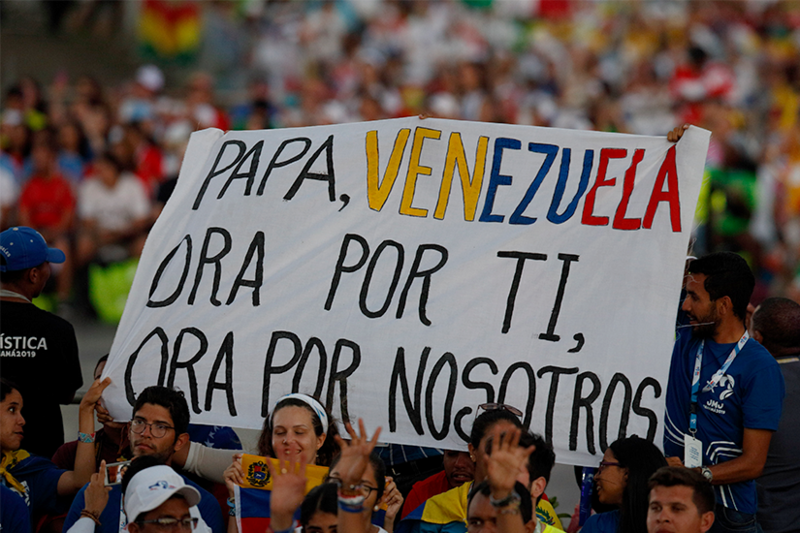 That's how God is." 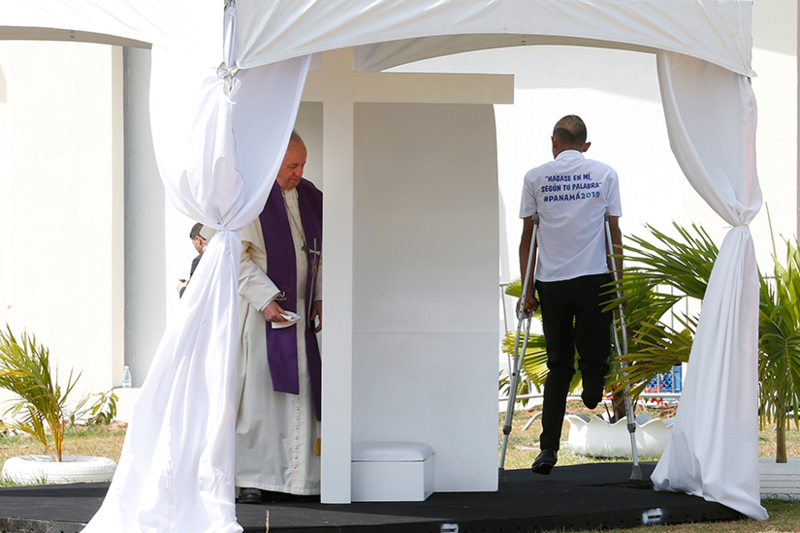 What a person gives to others "the Lord returns" many times over, he said. 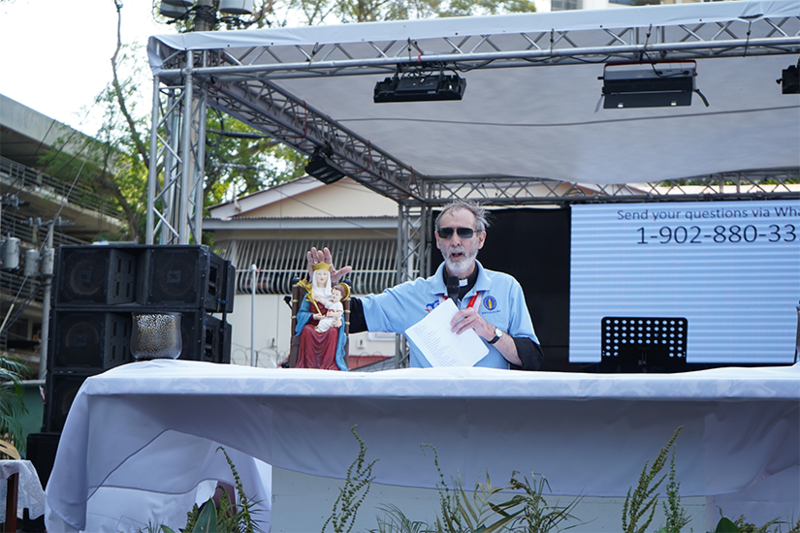 And the world needs more such examples of surrender and love to provide a "balm in the lives of others," he said. 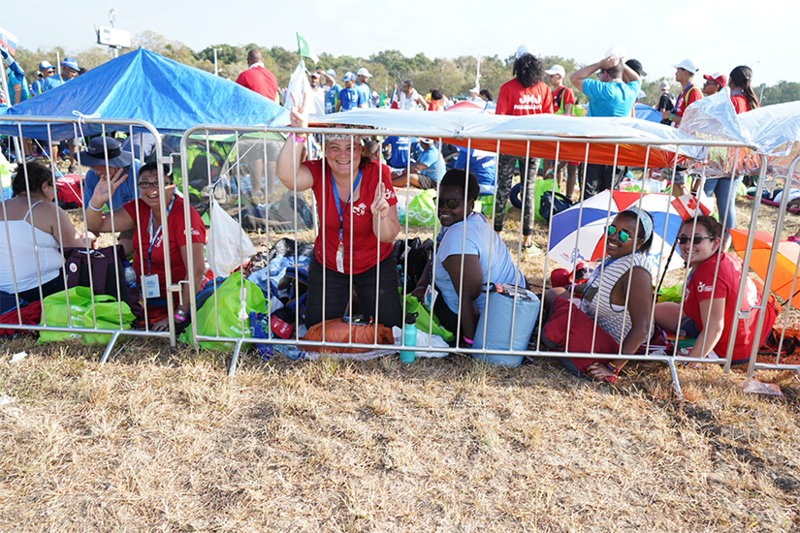 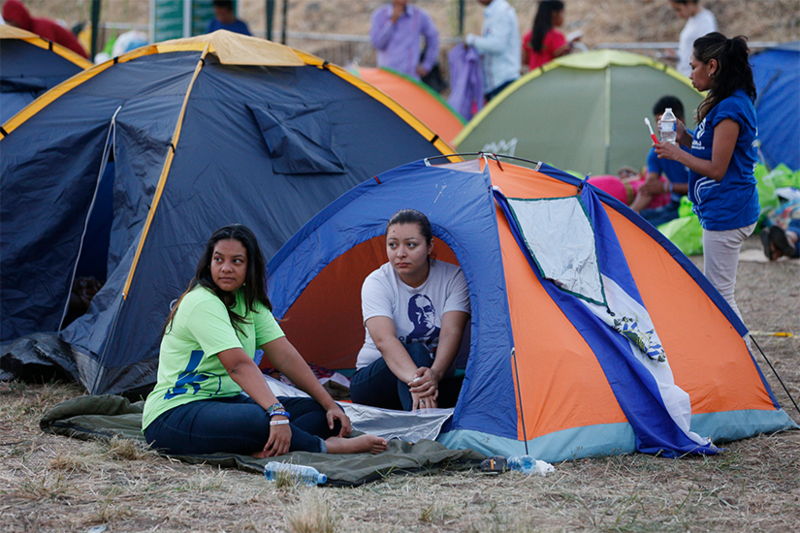 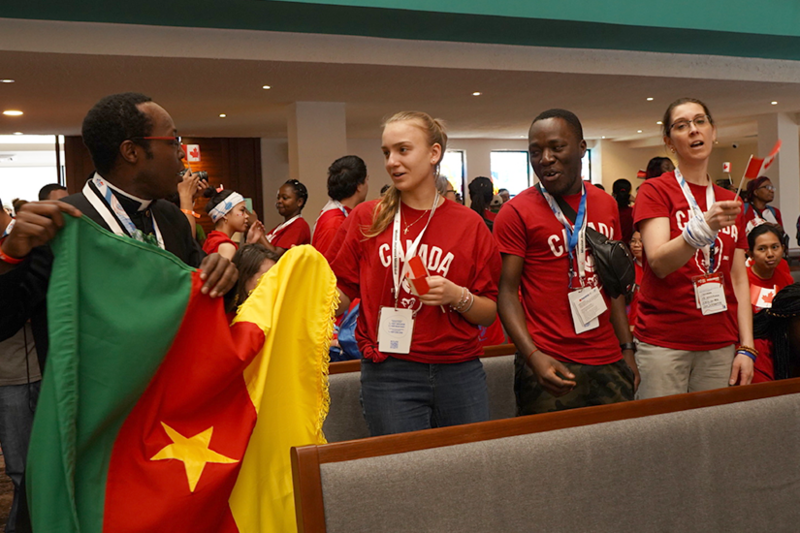 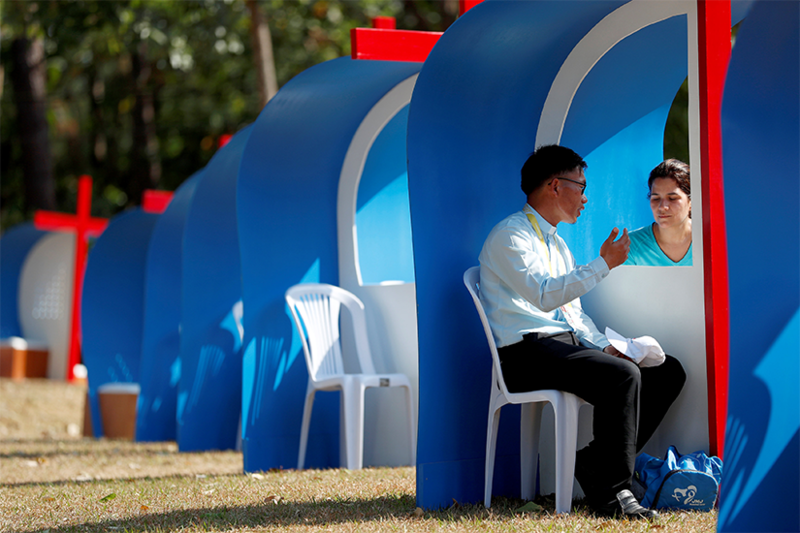 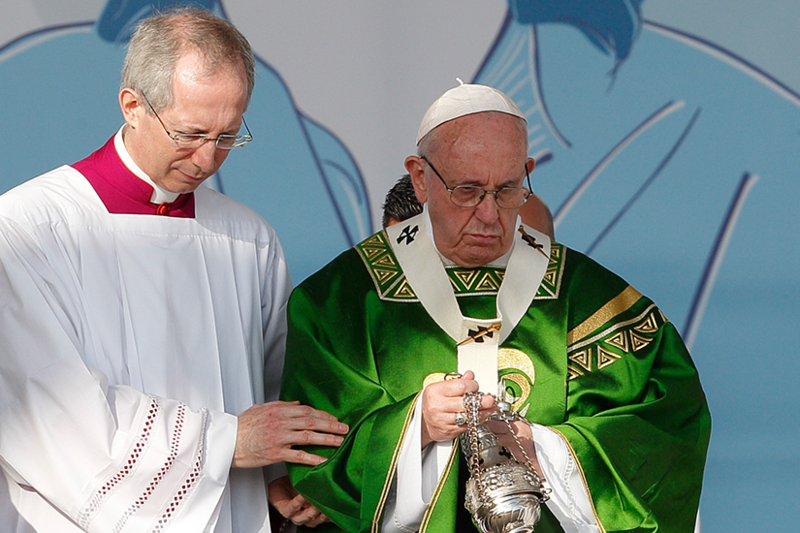 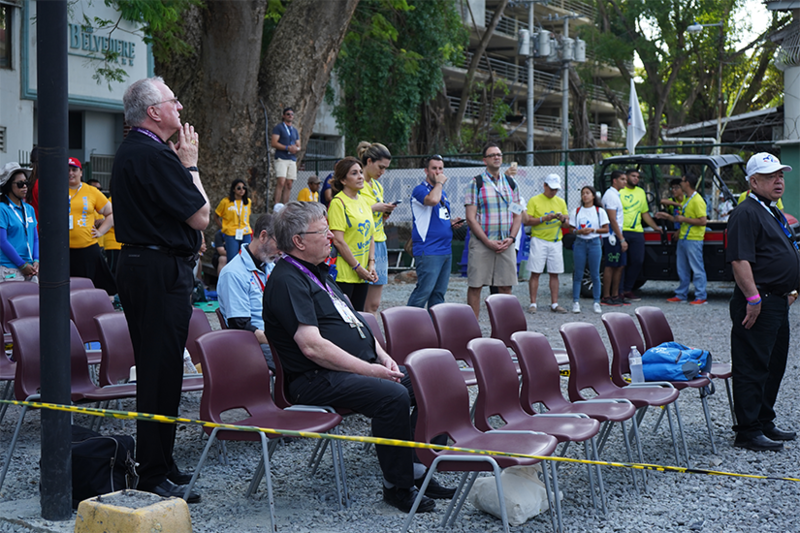 "It was more intimate," said Cofie, who attended World Youth Day in Poland and Brazil. 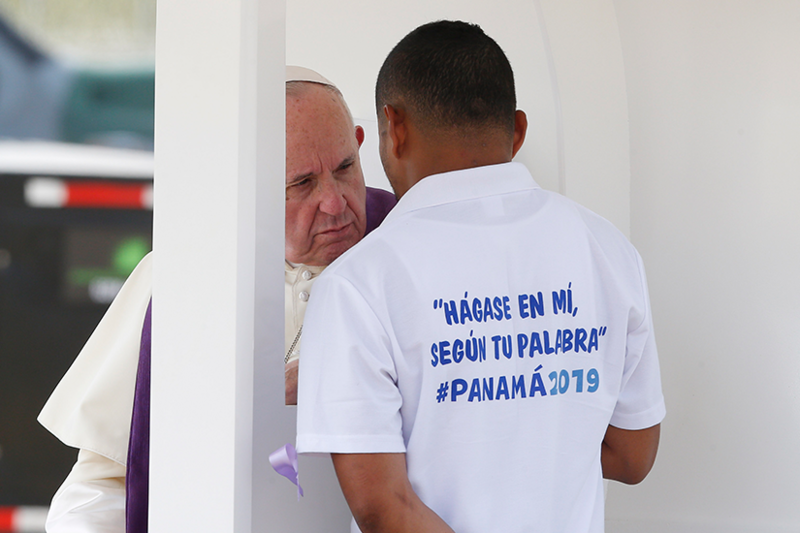 Panama had a special touch, he said. 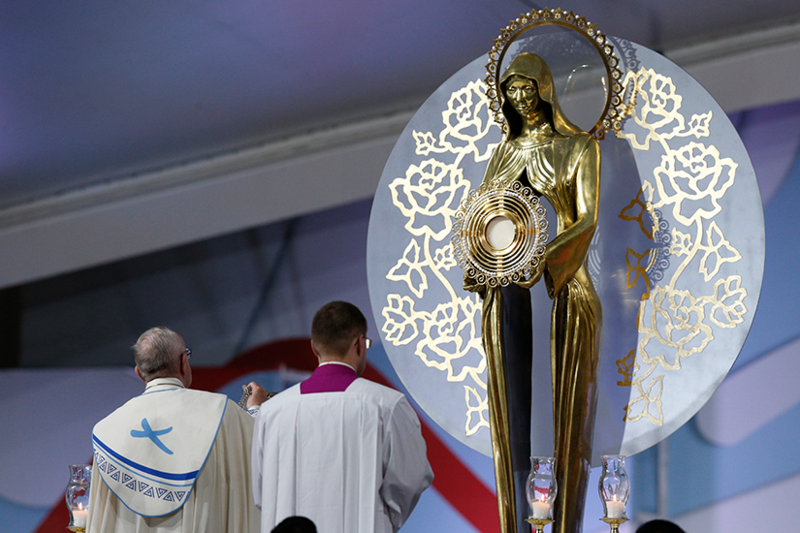 "I have received more than what I expected, and this is the mystery of the divine gifts. 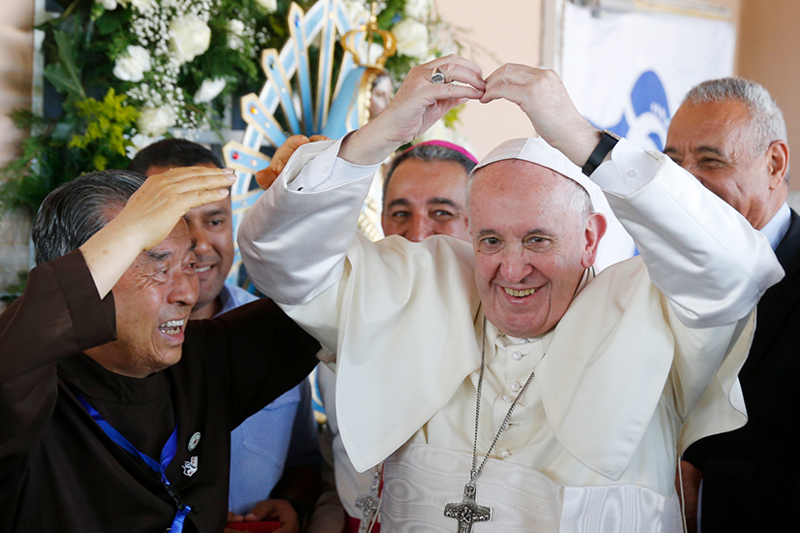 I am happy," he said. 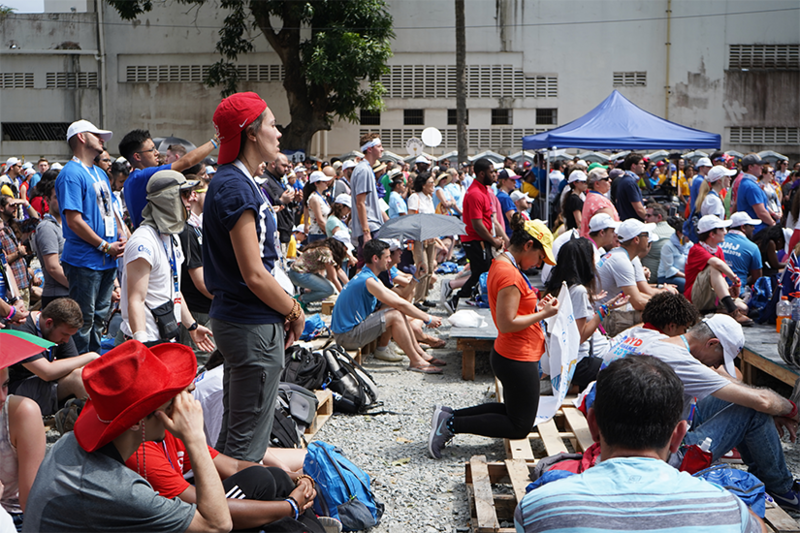 "Thank you all, because in these days you have been attentive to even the smallest details, however ordinary and apparently insignificant, like offering someone a glass of water," the Pope said to volunteers at the ceremony. 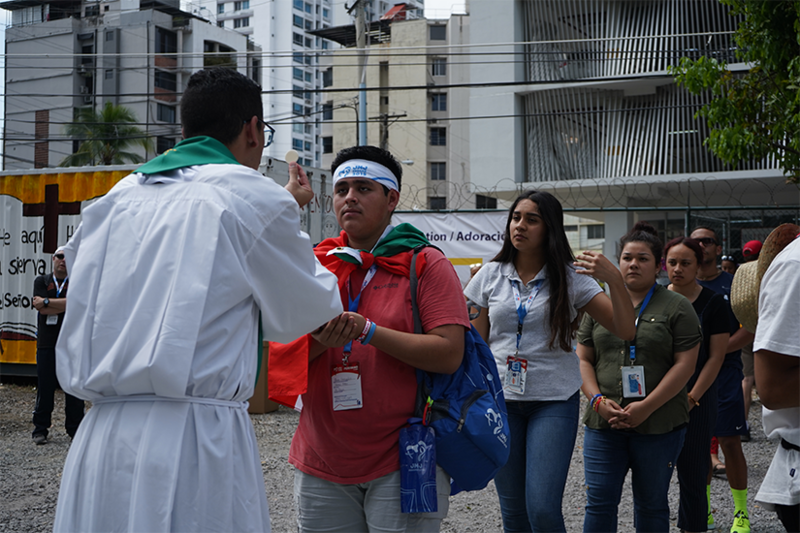 "You have had a more lively and real experience of faith. 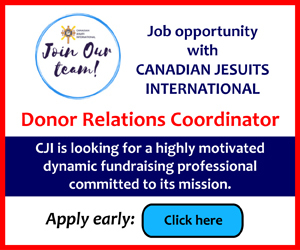 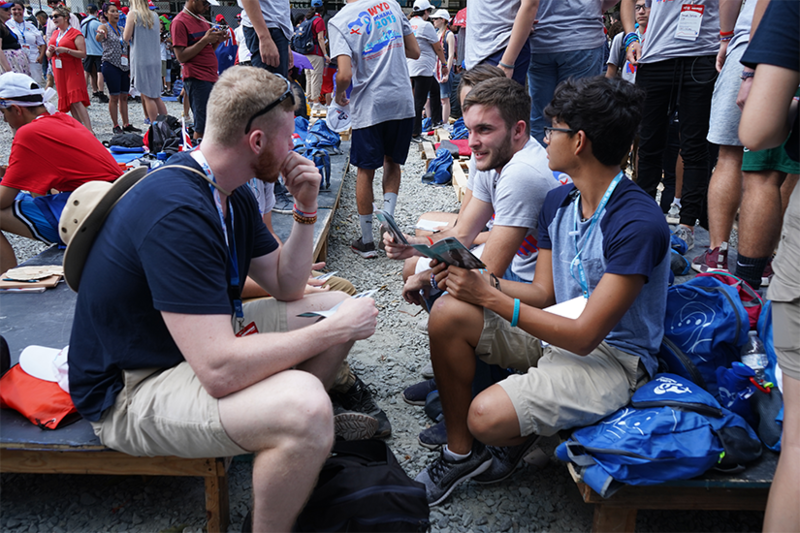 You have experienced the strength born of prayer and a new and different kind of joy, the fruit of working side by side even with people you did not know," he said. 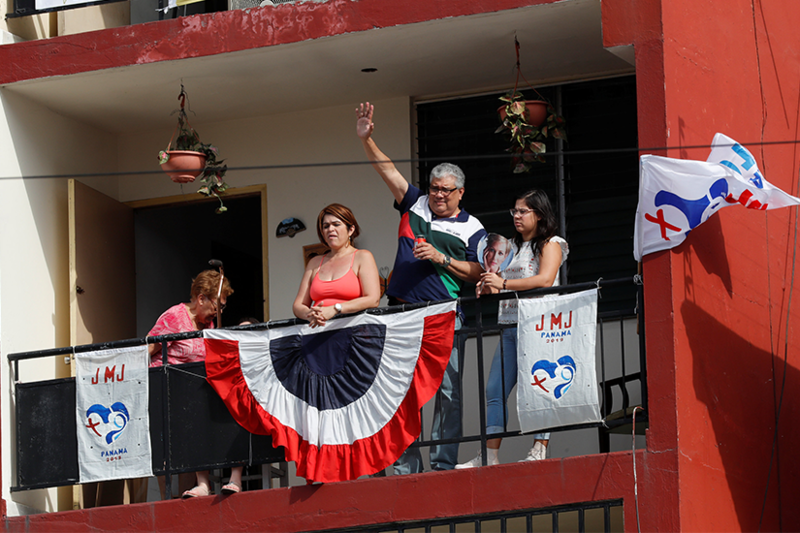 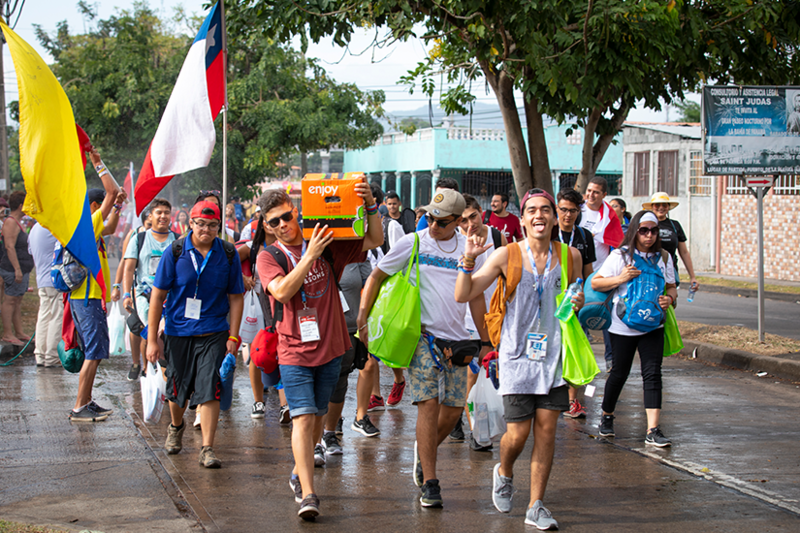 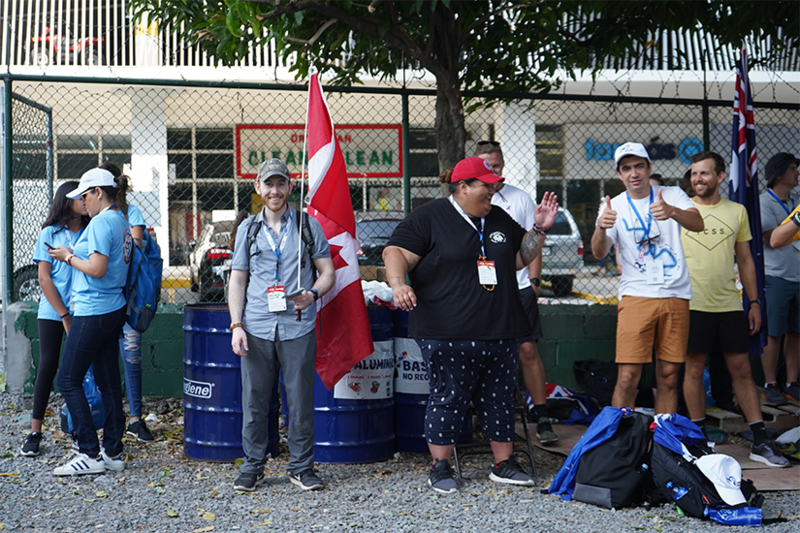 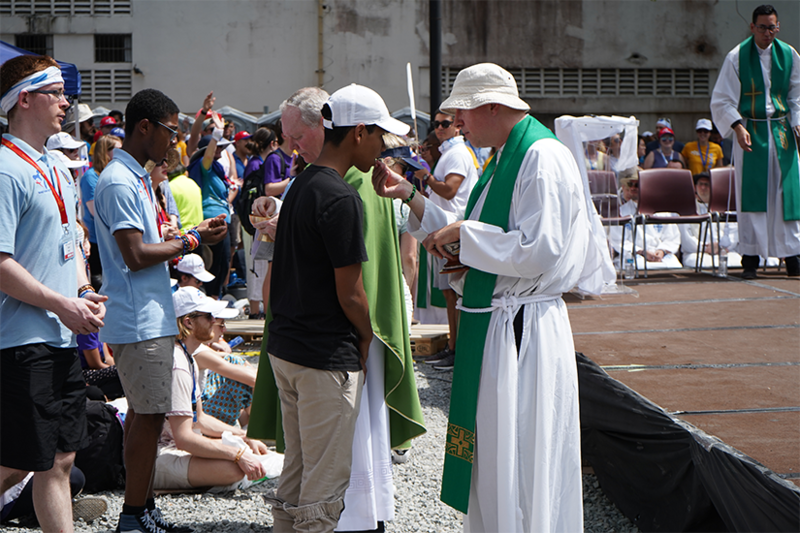 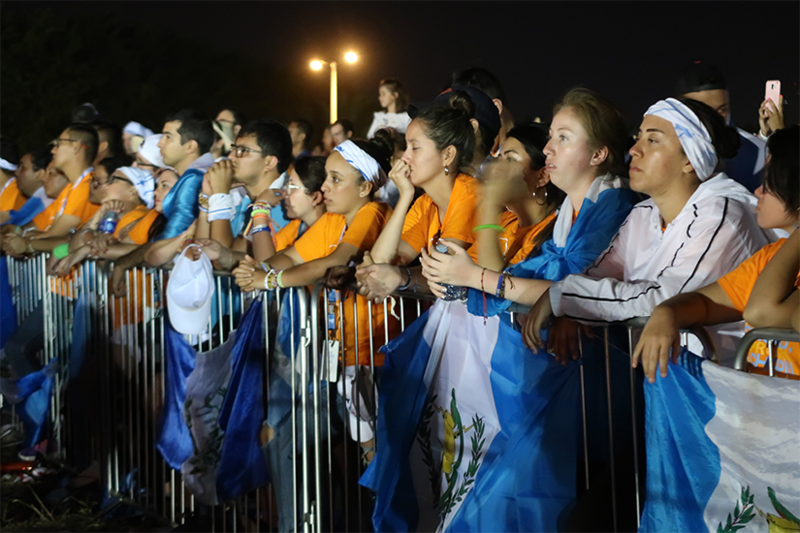 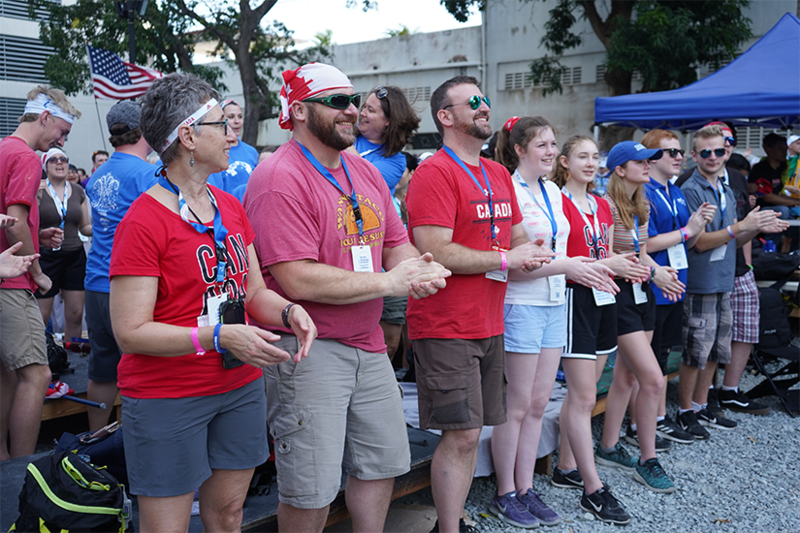 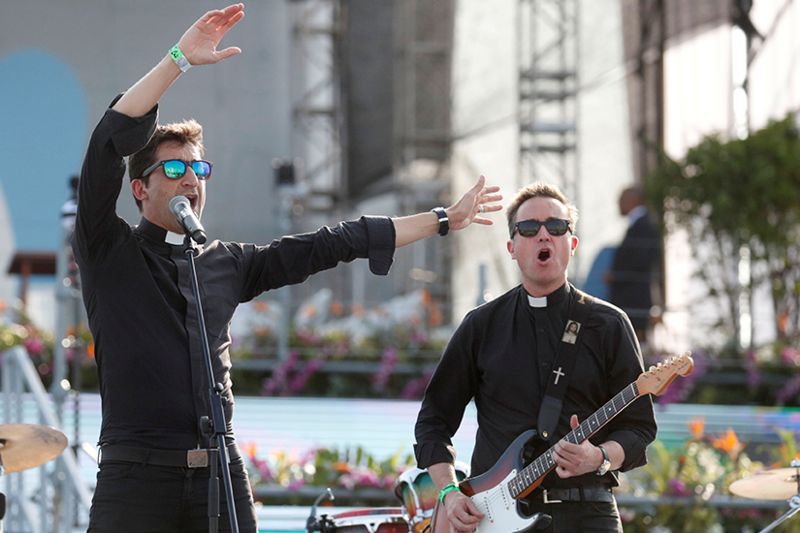 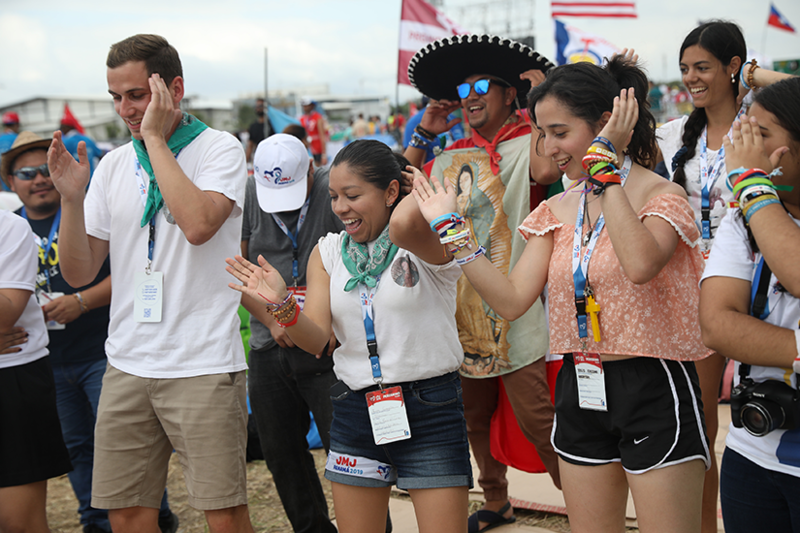 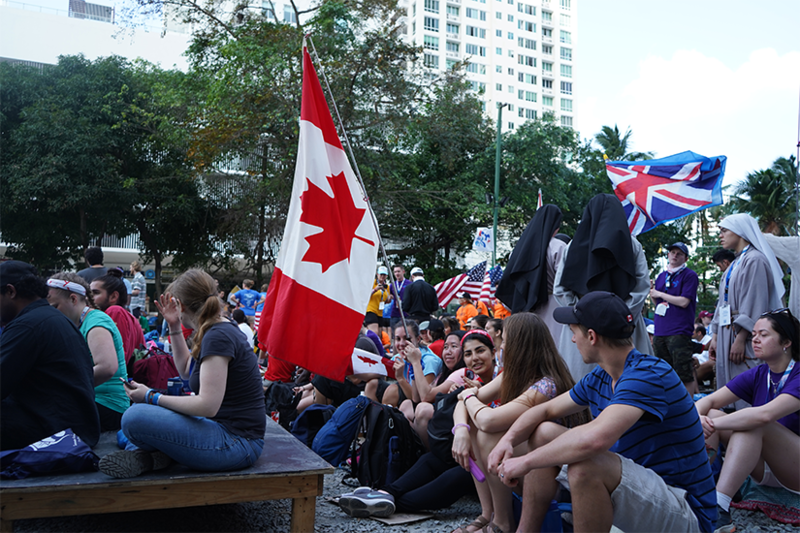 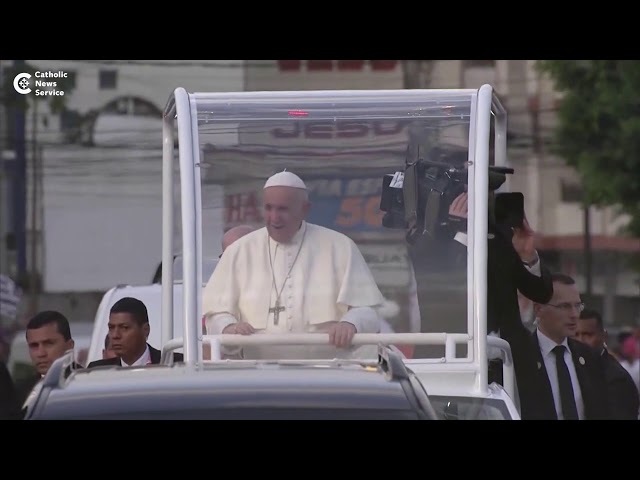 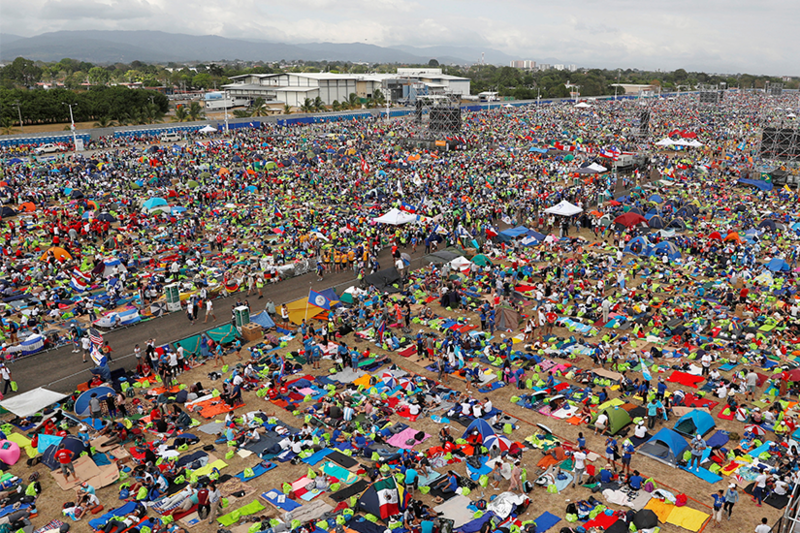 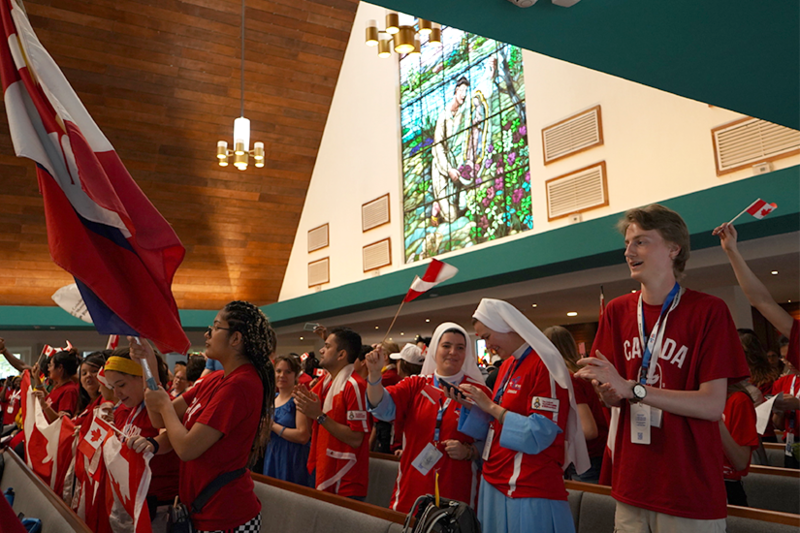 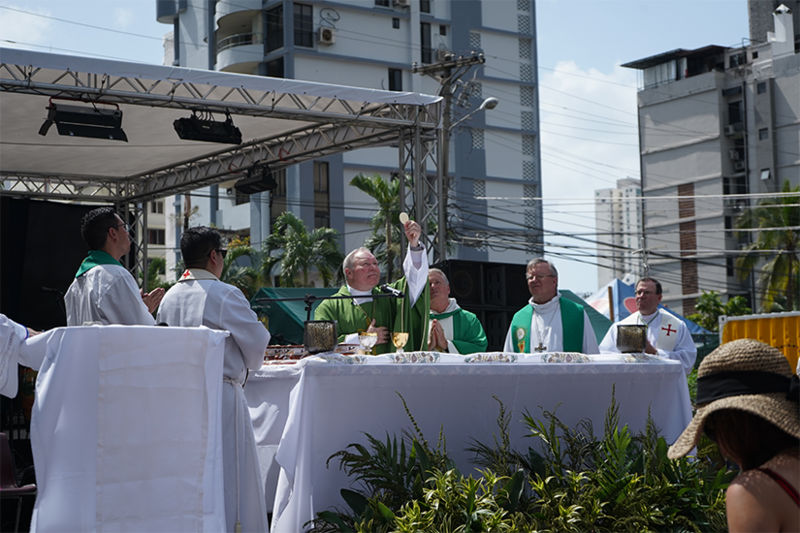 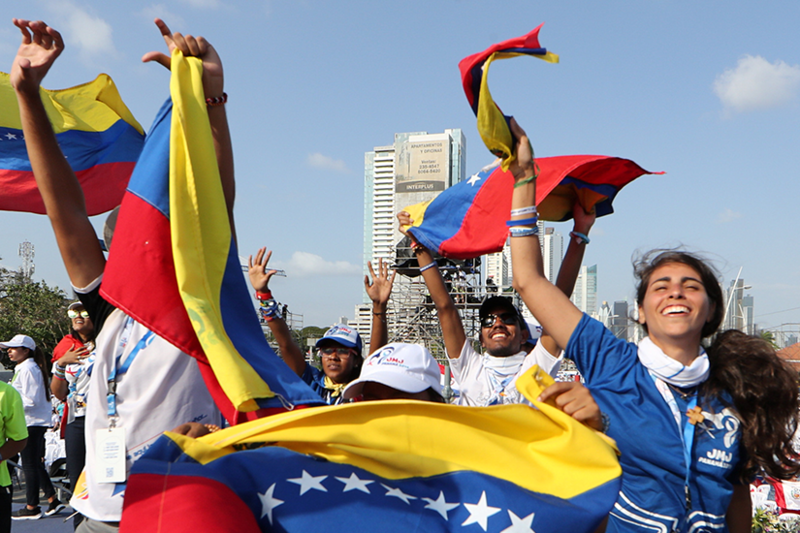 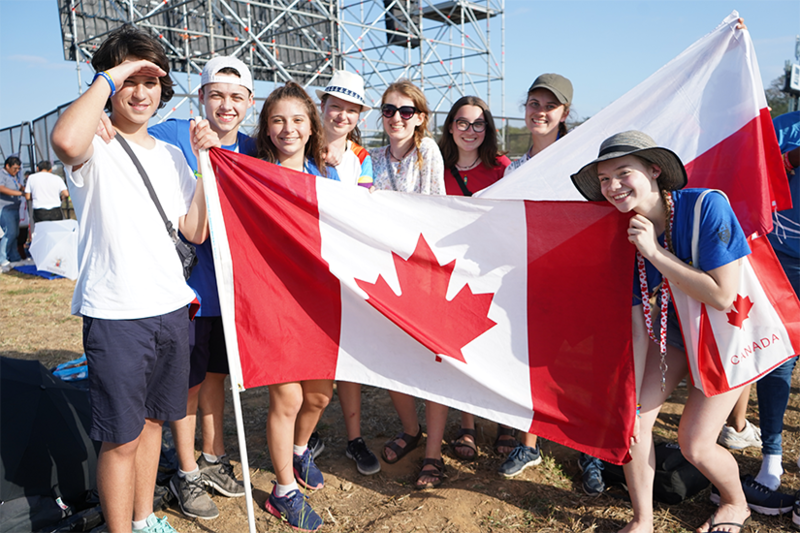 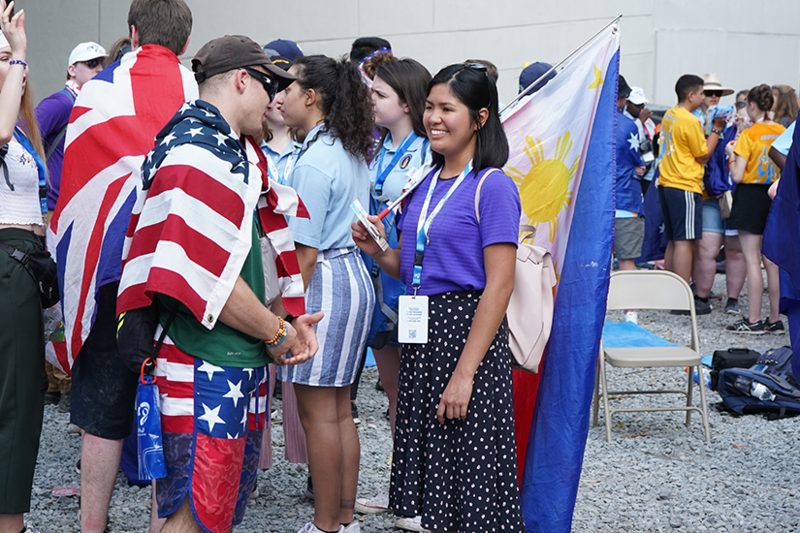 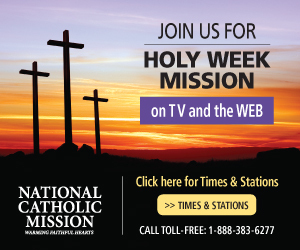 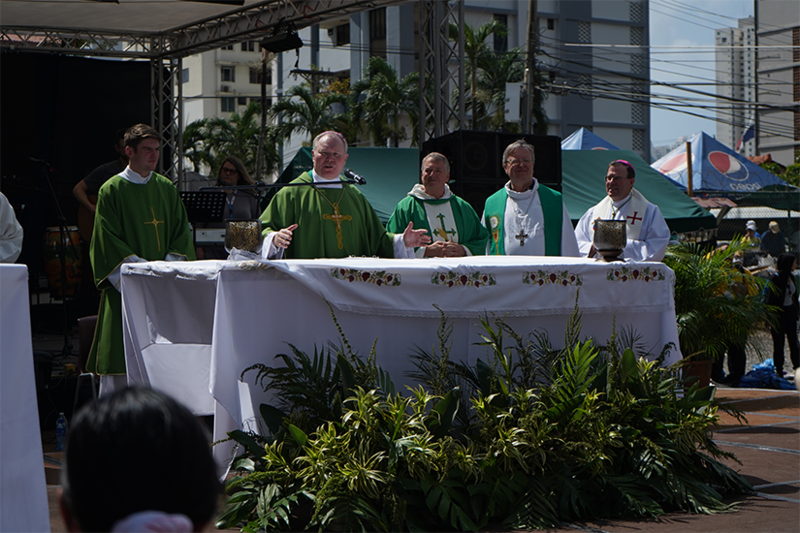 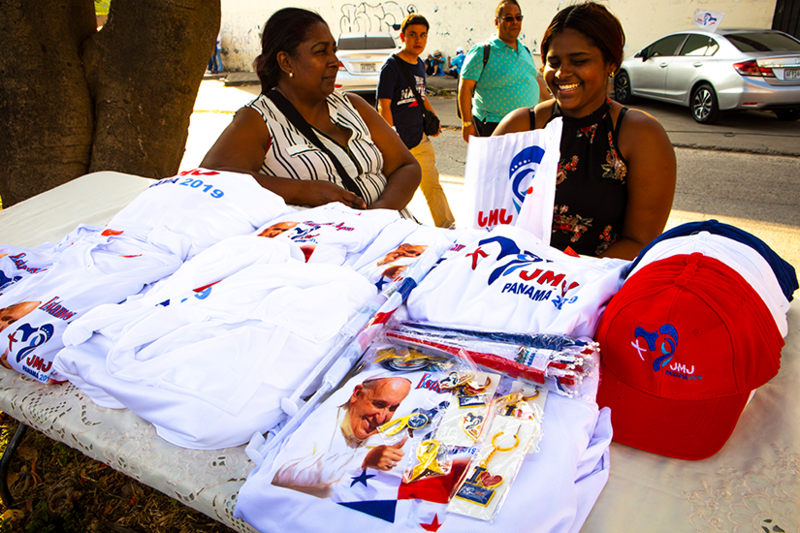 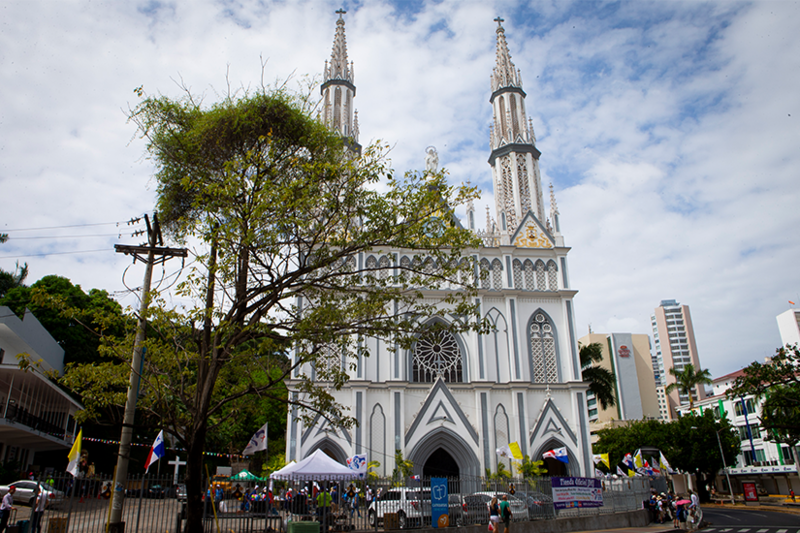 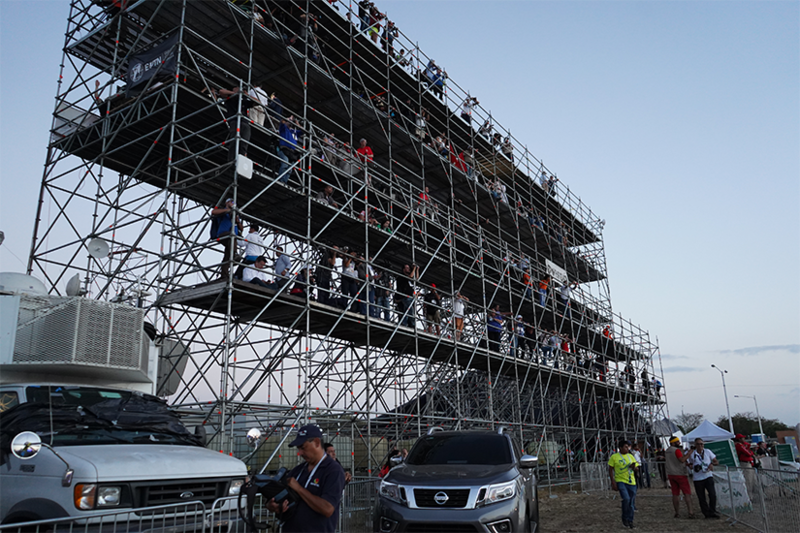 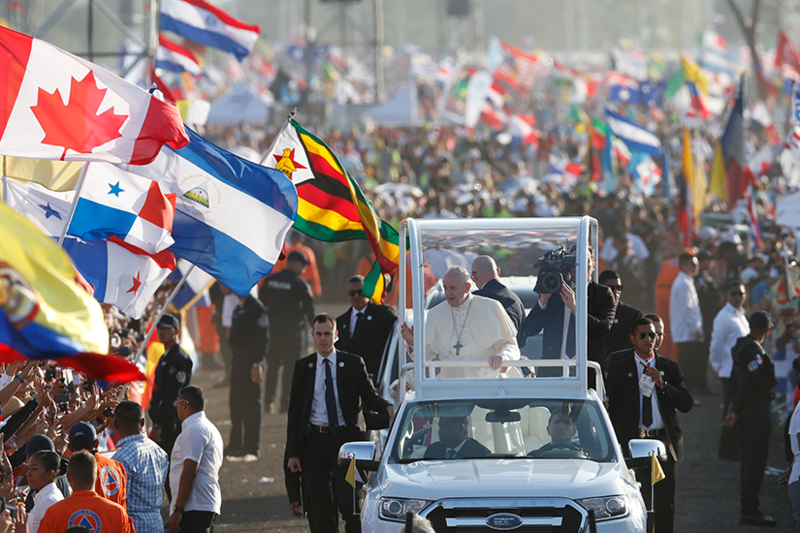 One of the gifts of Panama's World Youth Day, El Paso Bishop Mark J. Seitz told Catholic News Service, is that at a time when some in the world are embracing nationalism, the international Catholic festival for youth, in which 156 countries participated, delivered the opposite message. 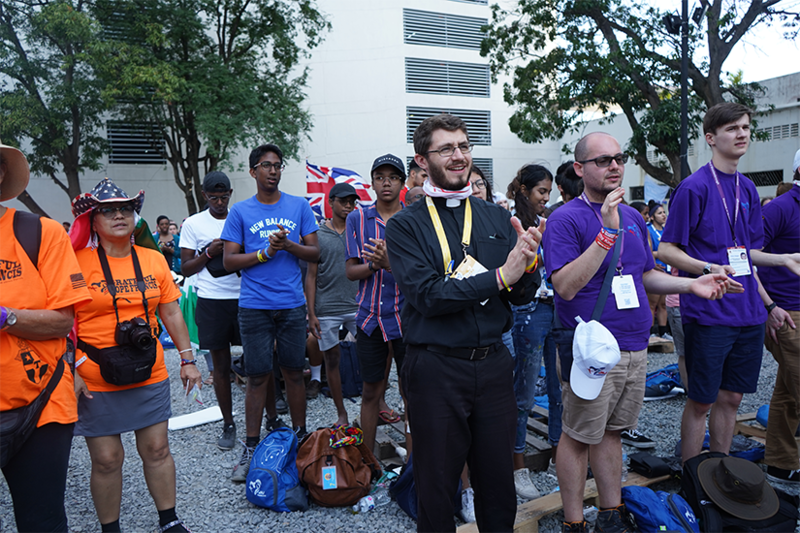 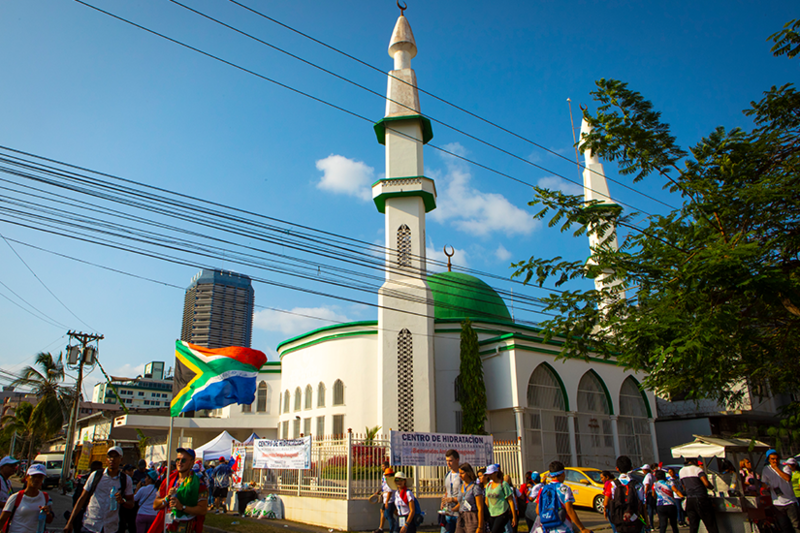 People from different countries, who spoke different languages and had different customs and practices, managed to unite around faith and serving others. 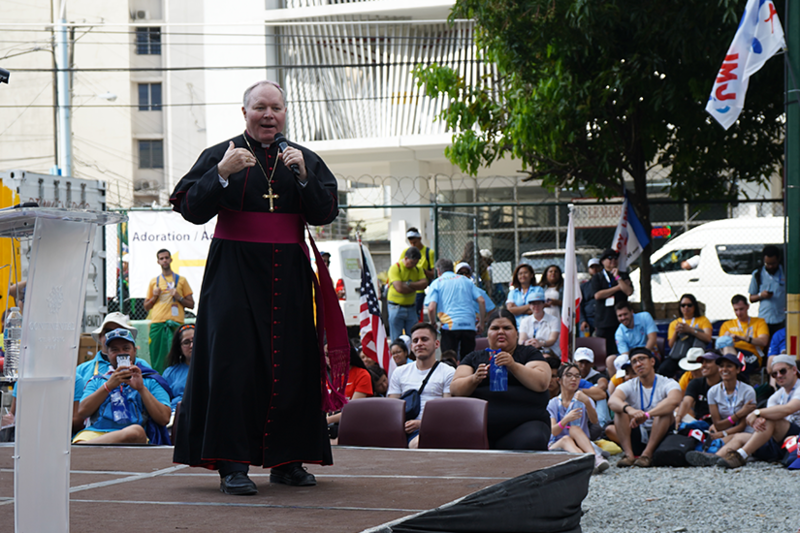 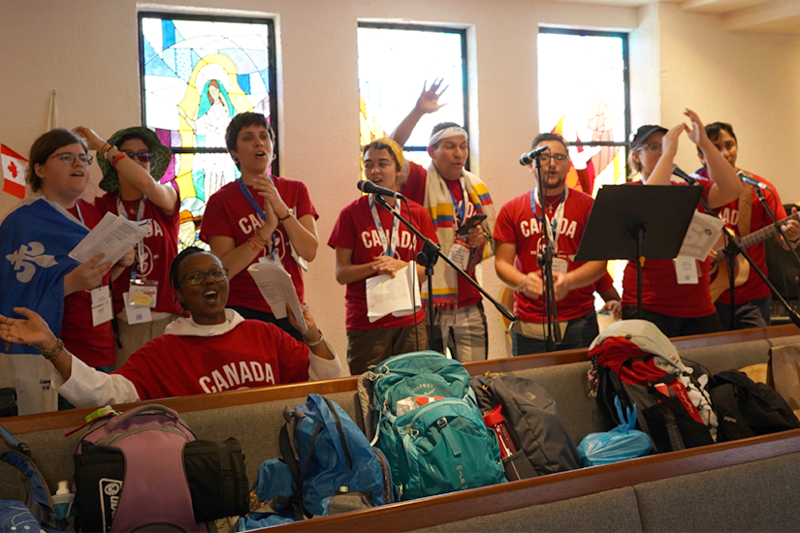 "World Youth Day says, 'We're one family of humanity,'" Bishop Seitz said. 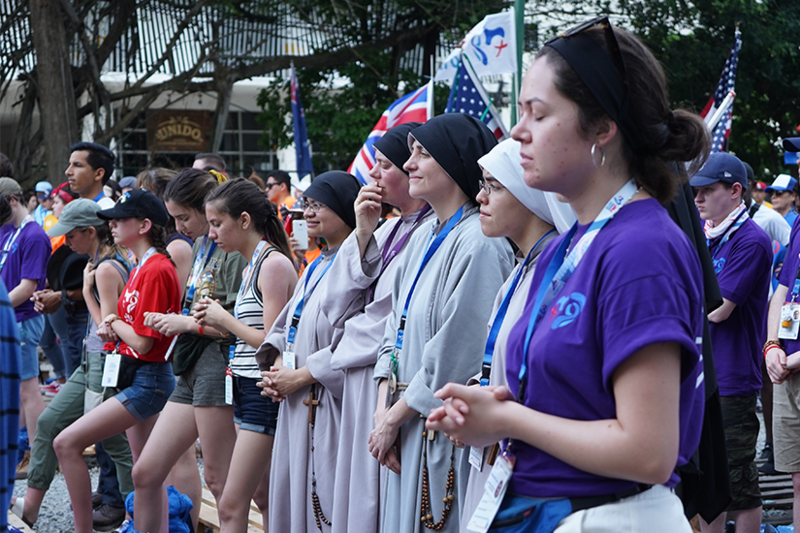 "Separating ourselves from others does not make us secure."